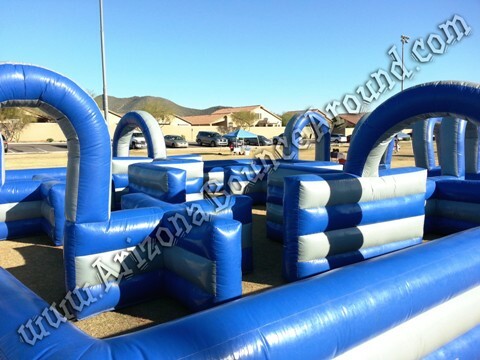 Our Water Tag Maze is the perfect summer party game in Arizona. 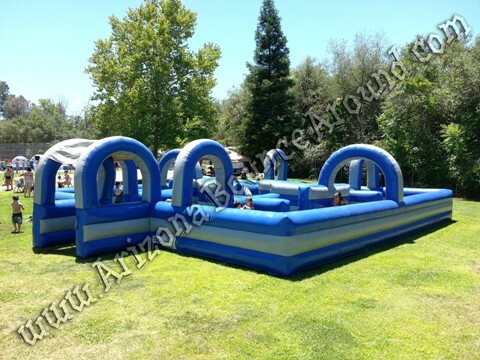 Don't sit inside bored all summer long just because of the heat, rent our inflatable water tag maze and see just how much fun it can be! Use the 10 Super Soaker guns to soak the other players and when you run out of water, use the provided water bucket to fill back up quickly. 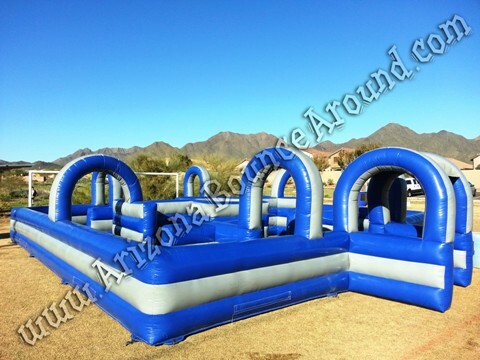 Next time you are thinking of what to do during the summer in Arizona call and reserve your water games today!